The process of moving is already stressful and adding a pet into the mix can making residential moving in Calgary a nightmare. When the movers come by, many things can get left behind like a box filled with dishes, a crib and believe it or not, even your pet! Sometimes we miscommunicate with our loved ones and our furry friends face the consequences. What happens If You Forget Your Pet? Forgetting your pet when you are moving may not be likely but there is a chance it may occur. A reason why it may happen is that usually a seller has an agreed upon time to move out all their belongings which can add a high sense of urgency to begin moving out as quickly as possible. Now if you own an animal like a cat, there’s a good chance your beloved animal may just go into hiding since lots of pets have difficulty with change, especially if the change is sudden so it could be easy to assume they’ve left the home with another loved one if you haven’t seen them. If you forget your pet during the moving process, chances are that the buyers realtor will call animal control to come pick up your animal. Since moving is not always a quick and easy process, the best way to handle the stress is to hire a reputable moving service that has the expertise when it comes to residential and commercial moving like Precision Mover’s. By serving the Calgary area for 30 years, they have perfected and pride themselves on a moving service that leaves you capable of focusing on more important things such as ensuring your pet is comfortable and secure. With doors constantly being left open to move large items and boxes out of the house, losing your pet is not impossible. The first thing you should do when you notice your pet has gone missing is to check the home and surrounding area in case they’ve just gone on a solo adventure nearby. Be sure to also call 311 if you are in the local Calgary area to report your missing animal. If you’re still unsuccessful be sure to create many posters and post your urgent need on social media and the rest of the neighbourhood to spread the word! Hire a company that is going to focus on making your moving experience as easy as possible for you and your loved ones. 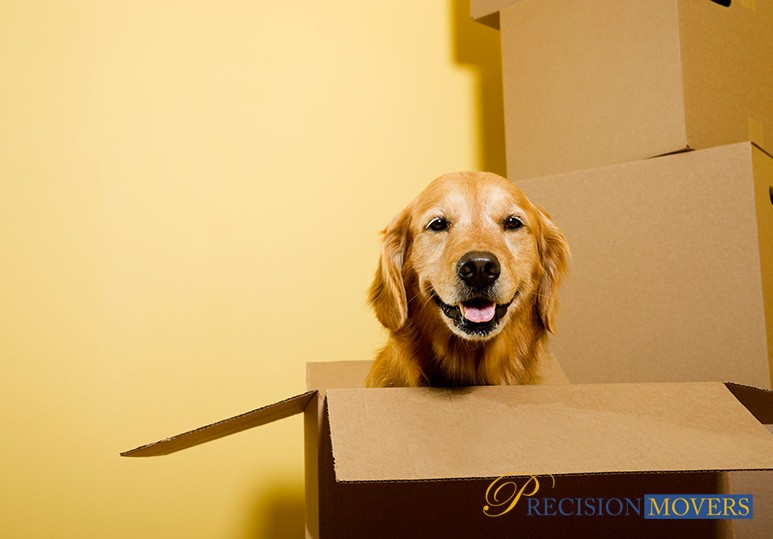 Companies such as Precision Mover’s will take the time to listen to your needs and concerns about your move even before they start packing up your belongings! The best way to approach losing a pet during a move is to simply avoid the situation from happening. By completing simple tasks such as: creating a checklist, packing one room at a time and starting early, you already eliminate mounds of stress. By staying organized and preparing yourself early and efficiently, you simplify the move for your furry family member as well.